*Hey, “F**k You” is just two simple words, right? Yes it is. But when it’s the title of a hit song, you have a problem. At least it is with conservative radio show host Dennis Prager. Among Prager’s issues with the nomination is it’s use of the F-word in the title, little kids in its respective video and the overall obliviousness of the recording history about what’s right in the world. While he makes some legitimate points, his argument has too many holes to take seriously. If only it were really that simple. If anything, their professional lives are dedicated to making as much money as they can, regardless of the music’s content. Cash rules everything around the music industry, so if there were substantial coins to be made by promoting righteousness, best believe Public Enemy would be pushing Taylor Swift sales numbers at this very moment. Prager then goes on to say Cee-Lo’s ditty “has little, if any, redeeming moral, social or artistic (to the extent that this word retains its original meaning) value.” While the kids in the clip was not the best of looks, saying Cee-Lo’s song is basically wack is a reach. The Atlanta rapper and crooner’s eclectic career (see Gnarls Barkley and Goodie Mob before that) has been marked with music that is more substantial in its message (see: ‘Gettin’ Grown’). Point being, ‘F*** You’ is simply a fun song about a scorned lover that happens to be catchy as hell. Next ArticleHas Richard Hamilton Overstayed his Welcome in Detroit? Agreed. Find it interesting then he would have to resort to this. Bet he loves Gwyneth Paltrow’s version. 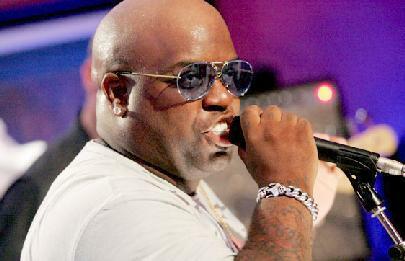 By the way, I happen to love Cee-lo’s song. It presents a raw, honest emotion about being deserted in love. Rap songs have said much worse.